n one of my recent articles, I shared the research that shows retiring Boomers expect to rely heavily on Social Security and personal savings instead of pensions. However, most Boomers haven’t saved nearly enough and “Changes to Social Security” was ranked their top concern for the past three years. Social Security is probably the largest retirement asset for most people, but the equity in a home can be just as large. A home is the biggest investment many of us will ever make, and its equity should be considered because today’s retiree needs every legitimate tool available to retire happy! Let me show you how using home equity wisely can create a stream of retirement income for someone with money issues. I’m going to talk about reverse mortgages, so let me start by saying that this financial strategy isn’t for everyone. However, the math and science of PHD research convinced FINRA to change their stance on it as a “last resort,” and advisors need to educate themselves on this because exploring every option for clients’ unique scenarios can tap into income that you may not have considered. That said, if your clients plan to rely heavily on Social Security to cover basic living expenses, a Home Equity Conversion Mortgage (HECM) can provide income while they delay claiming benefits. 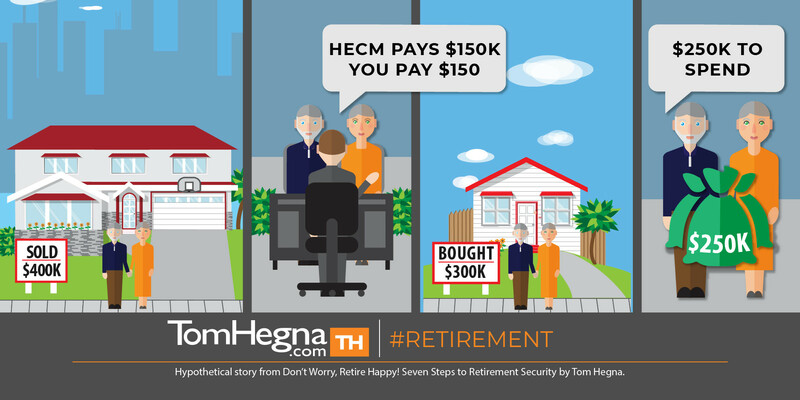 Some retirees simply need the money at age 62, but a HECM could still supplement their income if that suits their situation. In either case, they could establish a reverse mortgage and schedule monthly payments to cover any shortfalls for a certain number of years. 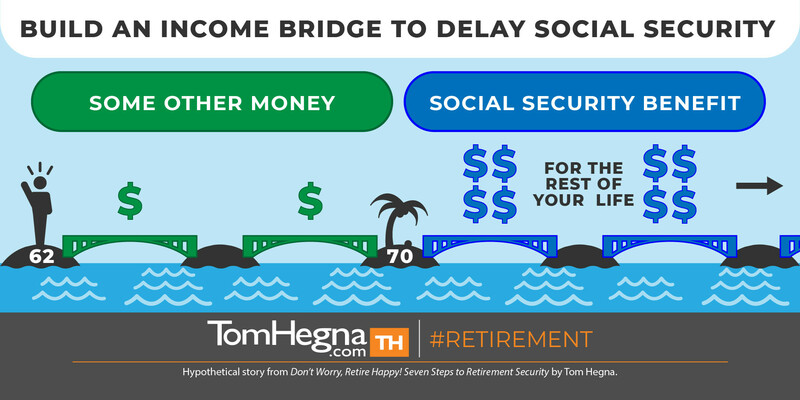 HECM term payments can provide an income bridge to allow retirees to delay claiming Social Security, and lock in a bigger guaranteed, monthly paycheck! Remember, Social Security is some of the best money, money can’t buy. If a client still doesn’t think they will have enough money to retire happy, show them how you can make the income they DO have go further. Money issues are common objections, and you probably dismiss clients who bring them up. However, many of these retirees NEED to work with you, and showing them how to use home equity wisely could tap into income you didn’t even know they had! Since a home is one of the largest assets retirees have, ask them if they think it’s TOO large. Literally, should they consider downsizing? Did you know that they could downsize, leverage the equity of their new home, drastically reduce their down payment, and have money left over with no monthly mortgage payment to make? In Don’t Worry, Retire Happy: Seven Steps to Retirement Security, Don Graves shares the story of Pierce and Linda. In short, they lived in a home for 30 years that increased in value over that time. They were looking to downsize to a home for around $300,000, but they estimated $400,000 in proceeds from the sale of their current home and didn’t want to use it all right away. They chose to use a HECM for Purchase (H4P), which covered 50% of their down payment! At the end of the day, they had a new $300,000 home, no monthly mortgage payments, and $250,000 left over to add back into their retirement portfolio. Like many financial plans, reverse mortgages don’t come without risks though. If you know anything about the strategies I discuss, retirement is all about managing risk. Reverse mortgages aren’t for everyone. They can be great for someone who wants to age in place or even to create a self-funded long-term care plan if your client does not qualify for insurance. Also, if a client's’ primary concern is to transfer wealth efficiently, newer reverse mortgage strategies could help, but there’s no substitute for the tax efficiency that life insurance can provide. Make sure your clients’ wealth-transfer desires are met if they are considering a reverse mortgage. The bottom line is, advisors need to be educated on this subject because they need to consider every scenario. Using home equity wisely can be a very powerful tool to retire happy, but there are many different kinds, so if you or your client is considering a reverse mortgage, do your homework and work with a professional. One of the experts on this subject is my friend Don Graves, who built an educational program that was filmed at the American College, to train advisors. Using Don’t Worry, Retire Happy can educate clients, but enroll in this educational program to make sure you’re ready to handle every scenario your clients could consider. See you in your new home!